The safety training can be administered on-site or online. These online OSHA 10 hour construction or general industry courses are accepted in New York. New York requires at minimum the OSHA 10 Hour Training Course for all Department of Buildings (DOB) projects in NYC, both public and private projects. All certifications for this must be current to within 5 years of the project’s start date. These requirements went into effect July 18, 2008. If you’re an employer, you will need to submit proof of completion for the 10-hour course with the first certified payroll that you submit to the State. It’s not OK just to say that your workers have the appropriate OSHA training, you need to have proof. The proof can be the OSHA 10-hour card (often called a “10-hour wallet card” or it can be a certificate of attendance submitted by the company providing the training (they must be an OSHA accepted trainer). New York does not maintain other requirements for OSHA Accepted training, but many employers do, so if you’re working construction (or even in general industry jobs), check with your employer. Click to Immediately Enroll and begin your Course. OSHA-Pros offers OSHA training in all areas of New York including New York City metropolitan area including Brooklyn, Queens, the Bronx, Staten Island, Manhattan, Long Island and other cities including Albany, Buffalo, Rochester, Syracuse, Yonkers and others. 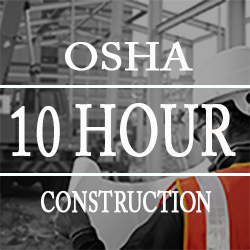 Is the OSHA 10 Hour Construction Training Course Required for You? What is the definition of a “construction site”? Construction sites are defined as any location where construction, alteration or repair of structures or facilities occurs. Are you required to take an OSHA 30 Hour Construction Training Course? Any worker who is hired to perform a supervisory role on a New York construction site. Who is in charge of New York’s construction safety regulations? OSHA maintains a state office in New York, while further certification and oversight comes from the Department of Buildings (DOB) and the federal Department of Labor. How can I learn more about New York specific OSHA regulations and training? 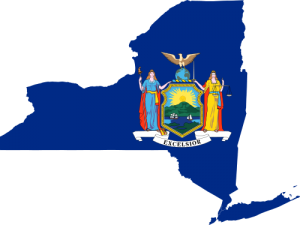 If you’re looking for OSHA offices in New York, or for links to more information on OSHA training requirements in New York, check out our New York OSHA training and regulatory resources page. Interested in New York On Site OSHA Training?